Virgin Australia today unveiled a suite of enhancements to make the journey to New Zealand even more comfortable for Australian travellers, including becoming the only airline to offer WiFi for all Trans-Tasman flights. • Increased Velocity Frequent Flyer Points and Status Credits earn potential. Virgin Australia Airlines Group Executive Rob Sharp, said the airline was excited to provide an even better product and service for guests travelling to New Zealand. “Last year, 1.5 million Australians flew to New Zealand and we’re looking forward to making their trip across the ditch even more enjoyable with a meal and drink as well as WiFi so they can keep connected whilst in the sky,” he said. 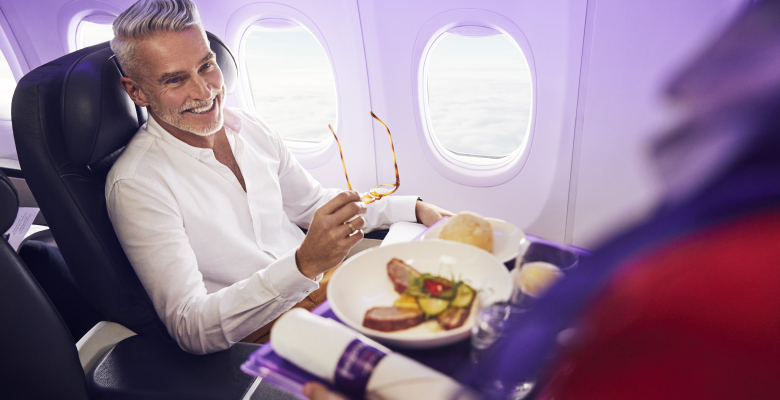 Virgin Australia’s award-winning loyalty program, Velocity Frequent Flyer, has also announced new benefits for members travelling to Short Haul International destinations such as New Zealand, Bali, Fiji, and Samoa. From 28 October, Velocity members will now be awarded a minimum of five Points per dollar spent1 on fares to and from New Zealand. Platinum, Gold and Silver members will continue to earn a Points Bonus meaning that Platinum Velocity members will now receive up to 10 Points per dollar spent2. Velocity Frequent Flyer CEO Karl Schuster, said he was delighted to give Velocity members more Points earning power, as well as improving the number of Status Credits earned on Short Haul International flights. “For the first time, Velocity members will earn Points per dollar spent for Short Haul International destinations, rather than based on the distance travelled. Members will earn more Velocity Points when travelling to these destinations and we believe our Points offer for New Zealand flights is one of the best,” he said.